Happy leap year day everyone! February 29 comes around every 4 year so that is reason enough to celebrate. Plus it will officially be the last day of the southern Summer/ northern Winter with a new season to look forward to tomorrow. 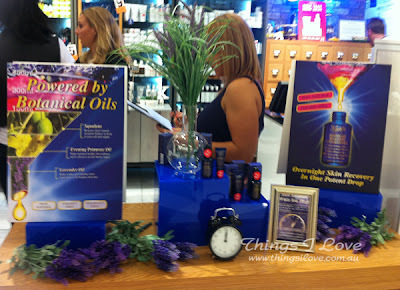 Another reason why you should be celebrating this day is if you've won the new Kiehl's Midnight Recovery Eye Cream Pack. Congrats lovely - your prize will be making its way to you very shortly and I hope you get uninterrupted sleep tonight and win that lottery. To all the my other readers, I will have a collection of nail polishes up for grab very soon and this time, the giveaway will be open worldwide. Are you excited yet? If so, stay tuned. The leap year day is also special because according to traditions of the British Isles, it's the day where the ladies muster up their courage get to take charge by asking their beau to marry them (which traditionally is not allowed any other day for the next 4 years). So ladies, if you are sick of waiting for your man to pop the question - take control today! Will you be celebrating leap year day? I'll be having a dinner with my fabulous girlfriends tonight. If you were ever in the market for a natural finishing liquid foundation that has adequate coverage you'd know how hard that can be. 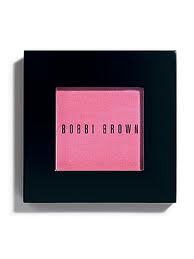 Previously my go-to work foundation that doesn’t make me look too made-up was the Bobbi-Brown Long Lasting Natural Finish foundation but I found its coverage to be a bit lacking, especially when I have breakouts or severe dark circles to cover up. So I’m pleased I have found a replacement in a couple of products recently – one a Blemish Balm (or BB) cream and another, a foundation. Today we're going to take a look at the foundation. 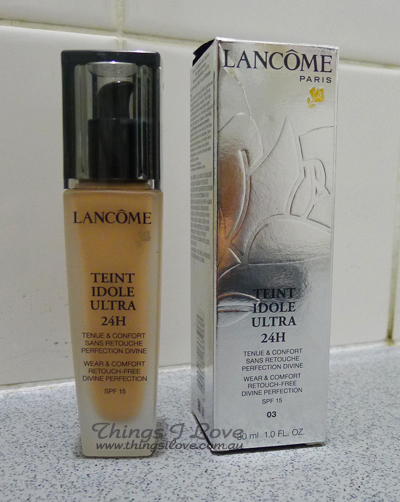 This is quite a thick liquid foundation with a medium buildable to full coverage. It has a semi matte/natural finish which means it isn’t too flat against the skin, nor is it too shiny or dewy which can make you look like a oil-slick in hot humid weather. 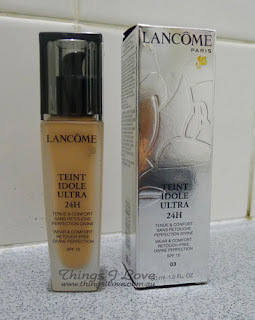 It evened out skintone effortlessly and because of the excellent coverage, it also does an amazing job of helping to reduce the appearance of pore size (I wouldn’t call it pore minimising though), and doesn’t seem to accentuate any bad skin texture. The result is a very even, smooth and radiant complexion after blending the product into skin. In terms of staying power, this foundation goes the distance. At the end of a long 10 or 12 hour Melbourne summer day (35+ degrees last week) in the office, my base makeup is still 60% intact and although no longer fresh looking, still manages to keep me looking presentable without too much shine and keep my face well hydrated (it does get shinier as the day wears on though). I have not tested it against the 24 hours claim but believe that for use during my waking hours, it has performed extremely well. 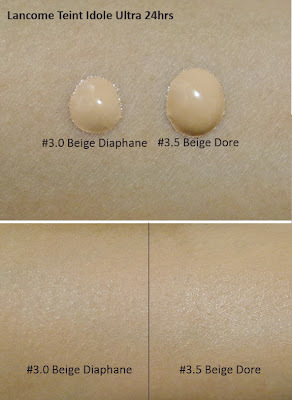 I tried out two shades to find a match - shade #3.0 Beige Diaphane (a light medium with yellow undertones - perfect for my winter shade) and shade #3.5 Beige Dore (a light medium with neutral undertones and was almost a perfect match to my darker summer skintone). You can see in the below photo when blended out, both shades are very good matches but the amazing thing is how well it evened out the skin on my arm to give me flawless skin with a hint of radiance. NC30 skin, indoor white light, no flash - look how even my skin looks in the before and after blending shot! If you want to have to try and find your own matching shade, you can give their Facebook complexion finder a go but nothing beats a quick in-store colour match. The other good thing about Teint Idole Ultra is that it photographs very well and doesn't give off a white cast even though it is SPF 15. 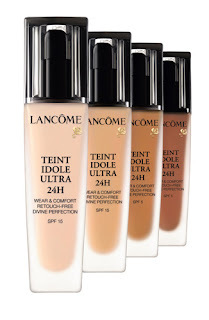 Teint Idole Ultra 24 hours is recommended for people with oily, combination skin but I think it would suit all skin types except very dry skin (because it will accentuate dry patches). Overall I’m very happy with the coverage, finish and staying power of this foundation. My only nit-pick about this foundation is that it has strong synthetic floral scent upon application. I’ve become accustomed to the scent now after a week of daily use but it does takes some time for the scent to disappear and I can imagine those who are irritated by scent to avoid the foundation because of this very reason. If you want lasting power with a natural radiant finish, then this could just be the foundation for you. 30ml RRP A$68 in 12 shades at Lancome counters Myer, David Jones stores and selected pharmacies. 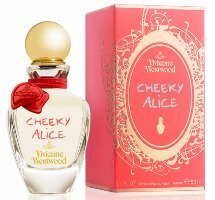 When Vivienne Westwood launch Naughty Alice last year, I was charmed by the cute bottle design and then fell head over heels in love with warm musky violet bouquet. This year Alice is back, but she’s no-longer naughty. No siree, This time she comes back full of mischief and more playful than ever. Alice in 2012 has become very cheeky. She's swapped her robin blue charm wrapping around the neck of her bottle with a detachable patented red leatherette bracelet with two hearts ends that can fastened together or tied across the wrist and be worn by its keeper. Ms Cheeky is full of sparkling notes, you immediately fall for her fresh lily of the valley notes, infused with the warm and femininity of roses, peonies. It is soft, provocative, and playful at the same time and it is hard for any man or women to not be mesmerised by her. But Cheeky Alice is not intense. She actually settles quite quickly and in 30 minutes, she becomes more subdued and emits a warm scent of rose in a woody musky base, making her all the more alluring. She then fades in the next hour and my only wish is that she held on to her intensity much longer like her older sister Naughty Alice did. It is a good thing then that her brief visits can always be called upon often if you posess the magic exilir bottle she is housed in. 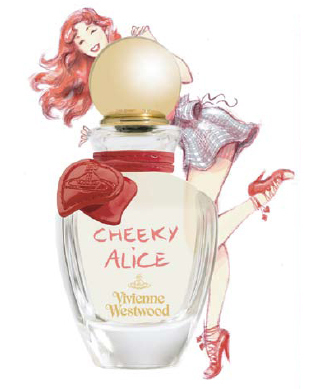 Cheeky Alice is an magnificent sparkling floral scent – there would be very few floral lovers who would not want to possess her. EDP RRP 75ml A$125 | 50m A$95. Available now at Myer, David Jones stores, The Perfume Connection and selected pharmacies. 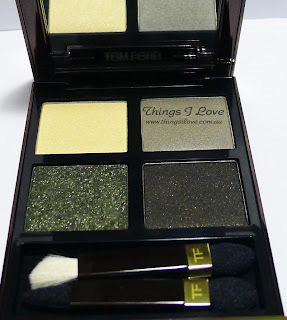 In my Tom Ford Sahara Haze post last week, I used the Rimmel Scandal Eyes mascara to complete the look. Today lets take a closer look at the mascara. This mascara gets your attention immediately. The bright over-sized orange tube means you cannot misplace it anywhere in your makeup stash. It also means that it takes up precious space if you are packing it into your makeup bag for on-the-go uses. But that’s the only negative about this product because it was all love when I put it to use! The rounded brush is massive with dense bristles that help to grab my sparse lashes, coating it with a good lashing of the mascara formula. Due to it’s size I didn’t even try using it for lower lashes because I cannot do precise coating on my almost non-existent ones with such as big brush. Formula wise, it contains collagen and keratin to build up the lash volume and help strengthen them up. When applying there were no clumps experienced, nor were there any flaking fall outs, and it did great job of giving defined separated lashes that give the fluttery full lash look that doesn’t droop at the end of the day. Tip: start at the base of lashes and use a wiggling (zigzagging) motion to coat your lashes from base to tip to create volume and length. After 5 hours of wear, there was slight smudging on my eyes (due to the fact I blink heaps and have rather watery eyes so others may not experience this). Overall I’m very pleased with this new Mascara from Rimmel and am glad it launched this month because I've finished up with my much-loved Mirenesse Vibralash as an every day mascara. 12mL RRP A$16.95 at Priceline, David Jones, Kmart, Target, Big-W and selected pharmacies. 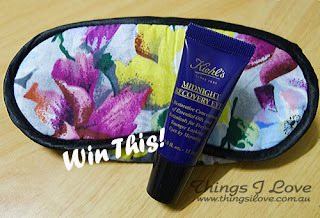 To celebrate the recent launch and spread the love of Kiehl’s Midnight Recovery Eye cream, this week, Things I Love is having a giveaway for the product as well as a pretty floral Peter Alexander eye mask to help you have the perfect night’s rest. This restorative treatment eye cream contains butcher’s broom extract, jojoba, apricot, camellia oil and squalene, all oxidant-rich ingriends to visibly reduce puffiness and diminish the appearance of fine lines in our delicate eye area. 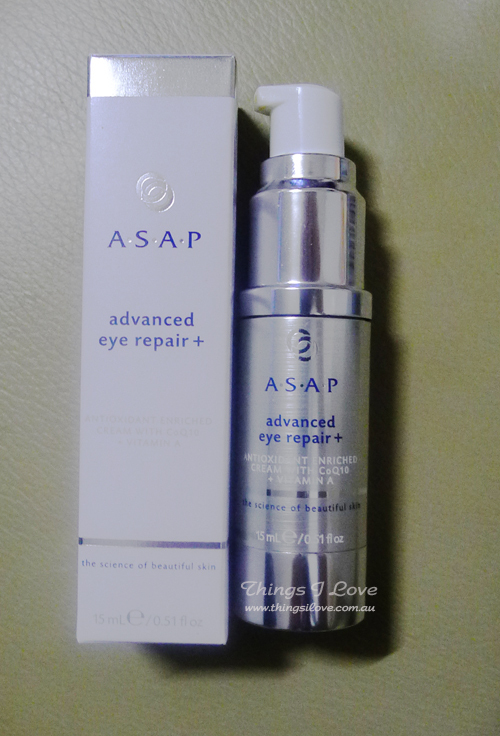 It works at night to strengthen and replenish skin for fresh looking eyes in the morning. Subscribe to Things I love via Email. 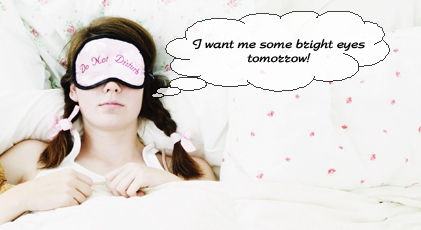 Fill in the form below telling me what you will be dreaming of when you go to sleep with your Peter Alexander eye mask and your Kiehl’s Midnight Recovery eye cream on? The giveaway will run from 19.02.2012 to Sunday 26.02.2012 Australian Eastern Standard time. This giveaway is only open to Australian residents. Existing subscribers are eligible to enter by leaving a comment that answers the question above. The winner will be chosen by merit and creativity as judged by me. The decision is final and no correspondence will be entered to. The winner will be announced on this blog on week beginning 27th February. To increase your chances of winning, you can follow me on twitter and share this completion by re-tweeting “I’ve entered @lilpil99 giveaway to win a Kiehl’s midnight recovery eye cream & Peter Alexander eye mask”. This will give you an extra entry. Tom Ford was unleashed onto our shores his colour collection late last year and it’s been nothing short of ultra luxury and decadence with his exquisite coloured products. I have previously showcased the Shade and Illuminate higher/contouring palette last year but today, I have something more fun and colourful to share with you. Today, we are going to look at one of the eye colour quad. 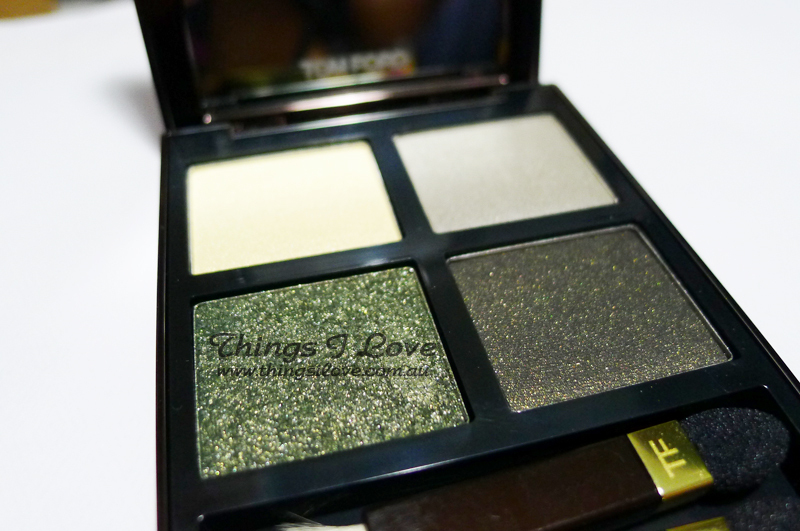 One of four palettes in the collection is Sahara Haze, the darkest and smokey looking of them all. Packaging wise, it is in a shiny (and so easily smudged) dark chocolate lift up compact with a solid gold trim. It screams luxe and quality in every angle you look at it. Inside you find 2 double ended applicators of different shapes with one end being a goat hair brush and all were very using for quick applicaitons. Colour wise, you have a light champagne gold for highlight, a taupey-grey for socket work, a beautiful, a deep bottle green with fine sparkling gold micro-glitter for shading and blending complemented by a blackened gold shimmer for lining and crease work to add depth to eyes. The glitter bottle glittery green is the most unique shade and therefore my favourite colour of the bunch and the not-too-big glitter doesn’t suffer the fall out that are seen in other eye shadows. As to be expected for Tom Ford, the texture is beautiful, finely milled with zero fall-out when pick up with a brush or sponge applicator. It applies smoothly onto lids with such intensity, you have to be light handed with the deeper shades to avoid over application of the colour. Of course lasting powers rated pretty strongly with the colours in Sahara Haze as well. Without an eye primer, the colours stayed vivid and didn’t crease on my oily eye lids for over 3 hours (which may sound like much for normal lids, but I can assure you that is 3 times longer than what I normally get with most shadows). With primer (I use Too-Faced Shadow Insurance), these last for 10 hours long and still look freshly applied. I’ve created a look quickly to demonstrate the prettiness of the colours. Unfortunately, the photo is able to capture its true beauty as my Asians eyes don’t have deep sockets or much lid-space and seem to goglle up much of the colours. But in real life, my eyes appear brighter with a hint of sparkle and I’ve received much compliments when I wore this look. 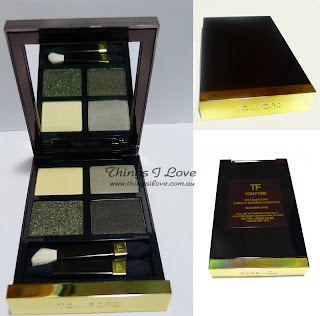 The taupey grey was layered as a base, the bottle green layered on top over my lids, the blacken gold was used to deepen the corner of my creases and also to line the outer corner of my lower eyeline. The champagne gold was blended onto the brow bones for highlight work, a light flick of liquid liner and then lashings of mascara on the top lash finished the job. This is a very sultry look that is more hazey than smokey because the green brings the sparkle out of the eyes. 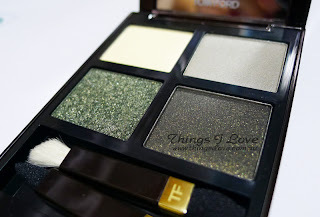 Come to think of it, Sahara Desert is the perfect name for this palette as it can be hazy or smokey depending on how much of the black shadow you use for your look. Tom Ford Eye Colour Quad RRP A$100 available now exclusively in David Jones Sydney and Melbourene city store. If you have a valentine, I hope you had an extra sweet time with your better half today. If you don't, then I hope you have an even more fabulous day celebrating the stage of your life where you can do anything you want without restriction or the scrutiny of an extra pair of eyes. Besides, you just never know what might come to you around the corner to surprise and delight you. Tonight, I'm delighted to be able to brighten up one of you fabulous beauty's day by making her the winner of the Dermalogica Daylight Defence Pack. The winner will enjoy being cool and protected the rest of this summer with some terrific sun protection and after sun care products. The competion this time around was very intense and after reading all the fabulous entries and counting extra votes, I've finally settled on the winner. I'll be contacting you to confirm some details and should have your prize sent out to you shortly. To everyone else - I've got a Kiehl's competition lined up for you later this week, so stay tuned. Today we are going to discuss some grooming habits that we don’t normally talk about. With that little intro, I’m going to launch straight into it – yep, lets talk about grooming your taboo area, aka your bikini area. For the longest time (call me lazy), I never ventured into grooming that region. To me, it’s not an area of my body that I’m going to expose to publically so what I have is no one's business, preferring to let my garden grow au naturale. Unfortunately that means in Summer when the weather gets hot and humid, I often get quite stuffy and sweaty downstairs. I didn’t realise it at the time but my unkempt garden added to the humid situation. Then there are the times when I'm in my bathers, the stray hairss would sometimes poke its head out, making it an all too embarrassing moment when I need to adjust my bathers to put them in place again. Nowadays, I’m alot more savvy and have taken up laser hair removal (let me know if you are interested in seeing a post about that). But for quick maintenance jobs, I use specially designed tools for immediate results.. The shaver kit comes with a Venus embrace shaver with 5 blades for first time close shave to prevent excessive skin irritations. This is a pivoting razor with rounded edges and rubberised grip for comfortable hold and is suitable for use on all parts of the body (like legs, underarms, bikini line) where a close shave and smooth skin is desired. The kit also comes with bikini trimmer - a single razor with attached comb to allow the thinning out of hair in the bikini area as well as to shorten its length. It doesn’t cut hair at the base so there is no fear of the stubble feel and guaranteed to not gives you any nicks or cuts as the blade never touches the skin. In a few quick strokes, I managed to tame my unkempt wild garden into a neat and trim hedge. Best of all the kit comes with an Olay bikini moisturising lotion, which I use on all shaved areas, not just in the bikini area to rehydrate, soothes any irritations and protect and smooth skin with its lightweight non-greasy vitamin e and B3 enriched formula. I also like that it’s fragrance-free so that there is no risk of irritating sensitive skin straight after shaving. Now that I’ve discovered new tools for grooming, I don’t know why it took me so long to get around to doing it. Honestly it’s fast, easy and so convenient, anyone who wants to avoid a hairy faux pas at the beach or pool (or just want more air flow through their cotton knickers) should get a hand on one of these kits quick smart. 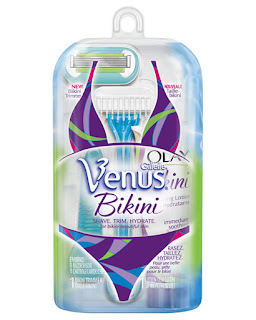 The bikini trimmer is also sold separately – RRP $6.99 at all leading supermarkets, Priceline, and selected pharmacies. Do you have a grooming routine or do you prefer au naturale? With Valentines Day tomorrow, love is in the air. So when you think of love, what colour do you think of? For most, red would come to mind as it signifies passion. For others, it’s berry shades and pink that denotes romance. Below are some of the beautiful shades of red, berries and pinks to help you create the perfect look for a memorable Valentines Day. 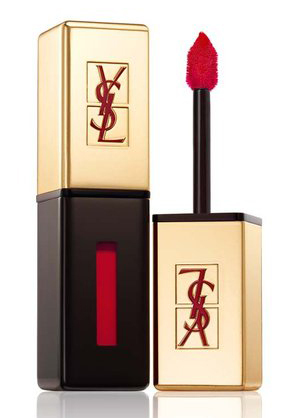 If you want staying power on lips but hate the heavy feel of lipsticks, then this ingenious lip stain from YSL will give your lightweight vibrant lips with superior wearability that won't run, streak or fade. 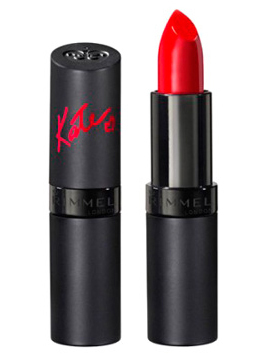 Shade #9 Rouge Laque (a classic red) is the perfect colour for the evening. 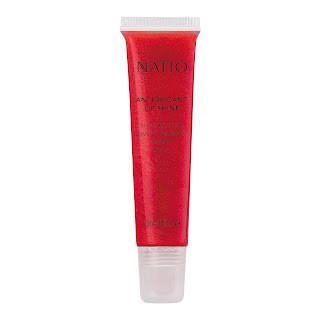 With the shine of a gloss and hydration of a lip balm, layer this beautiful bright red over your lips to make it extra kissable. Created in collaboration by Kate Moss, this high impact yet lightweight lipstick with medium buildable coverage will have you looking as sultry as Ms. Moss on Valentines night. A rich cranberry red that gives unbelievable shine. Slip this on and you know your lips will be as irresistable as the cherries in your dessert. 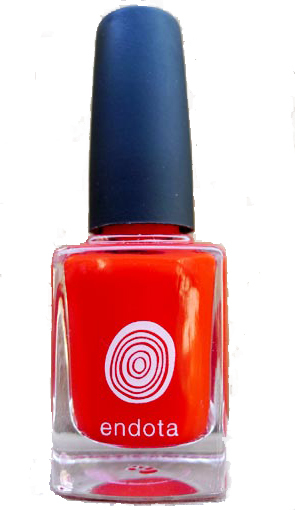 Named after the fashion capital of Australia, you know you’ll be sporting the hippest nail shade on the evening with the fun and vibrant shade of red. 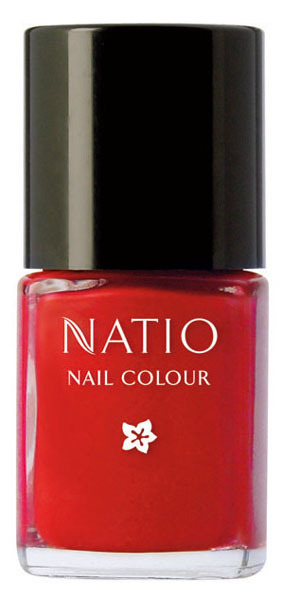 If you are after a bright and flattering red, then this is just the colour for you. It’s even been named appropriately for the special day. 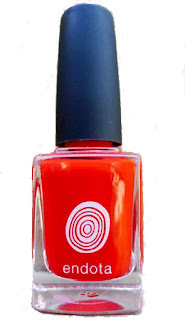 A vibrant red with sparkling red and silver micro glitter will surely bling up your digits. If pink or berry is more your thing, these shades below will kickstart your mood for romance. For the berry inclined beauty, you can’t go past this shade of deep cherry for some sultry vampiness - on your digits at least. The perfect muted French manicure pink for those who wants pretty pink nails without being the attention seeker. This deceptively named blush gives just the right amount of warm pinky-peach to the apple to cheeks. You’ll look flushed with love all day long. If your intuition is telling you to expect a Tiffany Box to brought out sometime during dinner on Valentines Day, perhaps you should co-ordinate with some minty blue statement nails. For the ultimate glamour Tiffany blue shade you cannot go past Riva. 2 coats for beautiful glossy colour with a slight sheen and glitter that will go perfectly with your new bling bling. Paying homage to Audrey Heburn in Breakfast at Tiffany’s, this opaque minty blue is the closest matching shade to the blue box. Make this a staple shade in your collection . What will your plans be on Valentines Day? I may end up with a date on the night - will keep you all posted in the next highlight. * products were provided for consideration. How quickly is this year passing? Already we are days into the 2nd month of the year and I’m only just publishing my January monthly highlights. 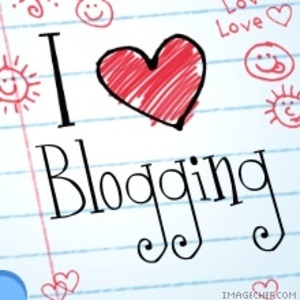 This month’s highlight/playback will give you an insight into my blogging life. January was more about professional achievements for me. I was given more responsibilities at work which gave me a great sense of achievement but it also meant that I had less time to spend working on the blog and often saw me up into the wee hours some nights trying to finish my work or a blog post (so much for that new years’ resolution to get into better sleeping habits). Truth be told, for the most parts, blogging is far from glamourous or fun. Most days, hours can pass just to find the right words to describe the texture or scent of yet another face cream or the shade of that muted berry-pink lipstick. Compound that with writer’s block sometimes, I assure you, it can be quite stressful. Then there’s the time spent to find and research all the facts about a product, its pricing and ingredients and any scientific support behind the at times ostentatious claim. There's also the waiting for the opportune moment for good lighting to do product swatching and face-of-the-day (FOTD) shoots in good natural light where possible. After all that, there is editing work in Photoshop to fix the lighting, crop it and apply watermarks to the photos. Sometimes I wonder how it doesn’t consume all my time and how I manage to have a life outside of work and blogging at all. But honestly, I love blogging and I wouldn’t have it any other way (but don't ask me that question when I've only had 5 hours sleep that day!). I find time (to the detriment of my beauty sleep) to write and still try to have a balanced lifestyle catching up with overseas friends who came to Melbourne to visit, take a mini-trip away with my best friends and let my hair down on Friday night drinks. Onto other blogging news, January saw the launch of Kiehl’s highly anticipated midnight recovery eye complex to complement its popular Midnight Recovery concentrate (and I promise a great giveaway to go with it later this month! ), falling in love with Face of Australia illuminators, finding my perfect red lip liner as well as finding a HG product in Alpha-H to give me amazing skin. So 2012 has been a frantic and fabulous start with a great array of beauty product findings; I can only see it getting more exciting and fun-filled in the weeks and months ahead. Now I just need to make sure I can keep pace. What has been your achievements for the last month? How do you get yourself motivated when you lose your Mojo? 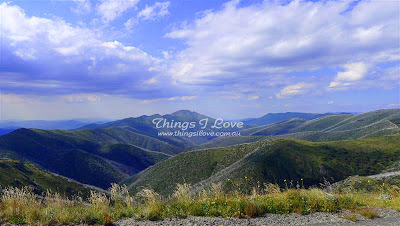 A view from the top of Mt. Hotham on a brilliant Summer's day during my long weekend away. I’ve been trying to grow my hair for the last 6 months so it’s been a while since I had my last trim so now it's definitely starting to show the everyday stress I put it through via all the blow-drying and heat styling from the curling iron. There are 2 products I’ve been using recently that is helping to keep my hair and ends looking healthy and helping me pro-long my visit to the stylist for a snipping session. The ulitmate luxury treatment for dry damaged hair. Actively repairs, restores, protects and hydrates hair, correcting years worth of damage while preventing future damage. With each applicaiton, hair instantly becomes stronger, softer, more moisturised, with improved elasticity. 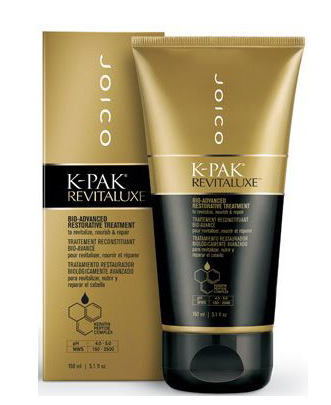 This Bio-advanced restorative treatment is used in place of a conditioner after shampooing. I alternate between using a colour protecting shampoo (Wella Brilliance) or a moisture replenishing Shampoo (KMS) and then use this for treatment. It’s light weight with a beautiful light floral fresh fragrance and doesn’t’ leave any residue on hair. In fact it is so lightweight, after towel drying and a blow dry, I really didn’t feel much of a difference and I was slightly disappointed. I did notice less frizziness and slightly softer, smoother hair but I was expecting salon-results! It was only the next morning where my ends are normally looking dry and hay-like that I saw its benefits. There was none of the straw-like ends looking business – only straight hair that looked quite healthy. It seems my moisture parched hair finally got a drenching that lasts after a blow dry and onto the next couple of days. After a few more uses and my hair is healthier, smoother and glossier than ever. For something I initially doubted, I can’t believe the impressive results it is having in rehydrating hair from the inside. This is definitely a keeper for my super dry, damaged hair. RRP A$28.95 at selected salons. "a leave-in treatment that has been designed for severely dry, damaged, chemically stressed, and ageing hair. " Given I’m growing my hair and not trimming it as often as I need to, split ends are inevitable features of my tresses. It’s gotten quite bad lately and I’ve even resorted to taking a pair of scissors on weekends and snipping the broken and split ends off my hair. Used after towel drying, I find the 5ml leave-in treatment ampoule enough to cover my thick past-shoulder length hair. I start with working the product into the lengths and then massaging well into the ends of hair. Again this light fruity-floral treatment is quickly absorbed by hair and leaves only a light residue. As for fusing split ends, they are not magically gone they do appear more refreshed and slightly less frayed looking. They are also less brittle and fragile. After a couple more uses, hair is stronger and less prone to breakages, especially during brushing. 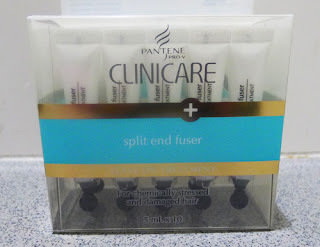 Split End fuser is definitely highly recommended to prevent and strengthen ends but unfortunately nothing will fix those split ends of mine other than a good snip. RRP A$19.99 at selected supermarkets, Priceline and selected pharmacies. Products marked * were provided for consideration. Living in the southern hemisphere and being in the middle of a searing hot Summer we are exposure an over abundance of UV radiation. Never mind that some areas of the eastern states are currently being flooded, even on cloudy days, there is enough UV to cause many of us to burn if we stay outdoors for a period of time. This is why being sun smart is a 365 day task, and not just during hot sunny day. I’ve made a habit to use at least an SPF on my face everyday, and when I’m in short sleeved clothing or skirts, my exposed skin is covered up in SPF 30+ products. 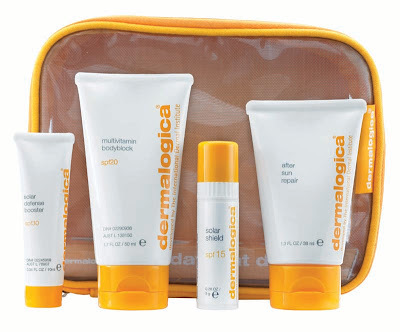 To help you too get into good habits, Dermalogica is sponsoring a giveaway to win a Daylight Defence kit that will ensure you are protected daily from top to toe. Despite living in Australia and them being not readily accessible, I'm finding that I'm enjoying using Asian brand products in skincare. Most of the time I find that they are more suitable for my skin type and address many of the typical Asian skin concerns. Today’s skincare review is on a Japanese facial cleanser that is a part of my regular skincare routine. Fine and rich foam, which gently cleans away the dirt on skin. It feels like a spa treat to face. Spray-foam design, it has the finest foam, which is gentle and does not cause any irritation to skin. It has 5 natural plant moisturizing ingredients, which leaves skin supple afterwards. It has a delightful floral scent. It can be pumped around 100 times. This is a foaming cleanser reminds me of the Dove foaming makeup remover. In fact they have a similar scent and the only difference I can visually see is that Airy Whip has finer foams. The dispenser is very responsive and a light gentle press gives a stream of airy moussey foam. These foam are very fine and rich and it feels very soft when rubbing it around the face. I love how there is no need to lather up and your skin feels caressed by a million bubbles when using this product for cleansing and doesn’t sting when the product gets into the eyes. I use this in evenings after removal of makeup to clear off residues of oil, makeup and the makeup remover itself and find it to be a highly effective cleanser, rubbing it into my face in circular motion until the foams disappears. My skin feels airy soft and light, not too dry or tight. In my opinion, this cleanser works best for oily/combo skin as it helps to remove excess sebum but if you have dry skin, I would think this cleanser could be drying as it is such an effective cleaning agent. As for ingredients, I’m not too sure as it’s printed in Japanese at the back of the can. Any Japenese readers care to help me check the translation? I’ve used Cosdna to find a translated list it and came up with the following although I can’t be sure of its accuracy. Airy whip Ingredients in Japanese - anyone can confirm the translation? 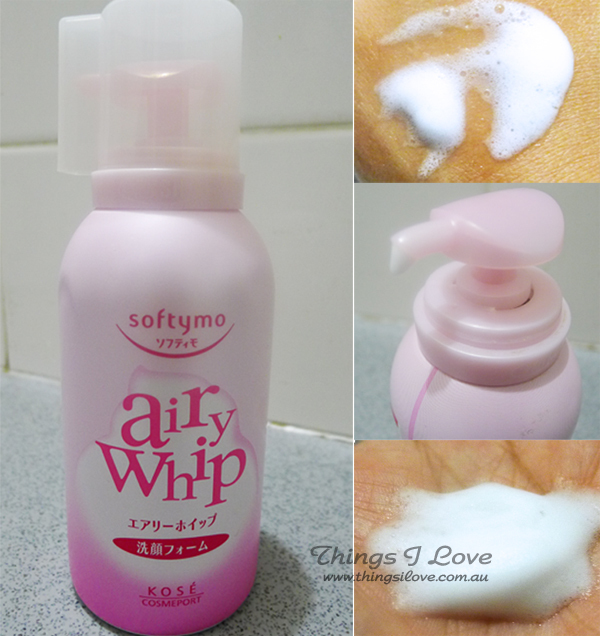 For those that love the feel and freshness of foaming cleansers, Airy Whip is definitely something to try out. Kose Softymo Airy Whip 180g RRP ~A$12 | US$13 . This was bought from Sasa.com but it seems to currently be out of stock and you may have to try ebay for those of us who are not in Asia where it’s readily available. What type of cleansers do you like using? A bunch of guys are from work are heading to the twenty 20 match this Friday evening. There's going to be flags, T-shirts, banners from Australia and India flying wild in the office and at the MCG grounds. 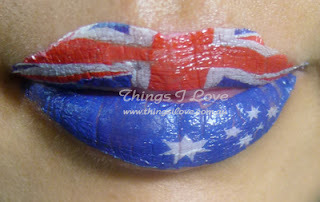 I thought I'd do something different to show my support (even if I could care less about cricket) and sport a statement lip with Violent Lips flag-inspired lip tattoo. These are temporary lip tattoos that are lightweight to wear and don't dry out lips and so fun to wear for special occasions. They come in sticker-like paper and you start by tearing the out at the perforation and cutting them to match your lip size using the guides at the back to work out how much to cut off. Measure and cut them to size, cut a bit off at a time as you can trim more but can't add back if you over trim. 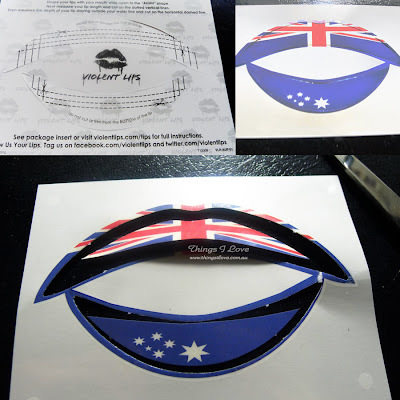 You can carefully trim the top of lip and the bottom of the lower lip applique to make it more contoured to your natural lip line but again, cut a little at a time. Don't get these babies wet before taking the clear backing is off - otherwise the paper backing will fall off and the tattoo is stuck to the clear side, meaning you will not be able to apply your lip tattoos and will have to start over with a new one. Excessive widening of lips will stretch the tattoo and cause 'cracks' so that your natural lip colour will show through. Minimise this by avoid opening your mouth too wide during talking or eating. 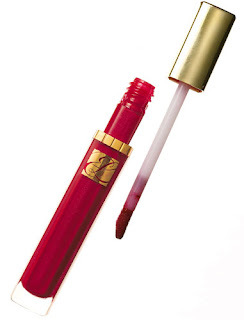 Although it doesn't dry out lips, the tattoo feels tight on lips so make sure to slick on a clear lipgloss to keep lips mositurised and to prevent it from cracking. Violent lips survives through drinking ok but I wouldn't recommend to eat with it as I found that the wear greatly diminishes after that. These will last 2-3 hours quite nicely before the 'cracks' shows too much but you can get away with more than 4 hours wear before it starts to look messy if you don't eat. These lip tattoos are available in a range of designs from animal prints to polka dots, and sparkly glittery coloured ones. Here's a sample of the range. Fun to wear and sure to get you noticed, I now have a renewed interest in temporary tattoos since primary school years as these look amazing for parties and social gatherings. Holy grail or HG items are products that just work for you. Like your best friend, they don't come by often and you cherish them when they enter your life. They are products that never lets you down; the thing you can turn for failsafe amazing results every time. Now everyone has different HG items because we all have different preferences, skin conditions and live in different environments. This means that a product that is someone’s HG may not be yours because it doesn’t work as well for you. But often, it’s a safe bet that HG products are amazing products that work for a large majority of people. 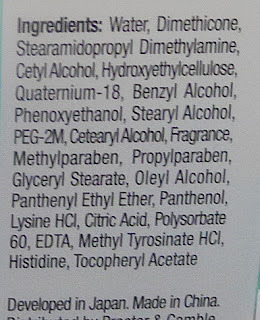 Last week I raved and sang the praises of my HG serum, Bio-effect. Today, I want to introduce to you another HG serum I’ve discovered when I ventured into the land of SK II. I was first acquainted to the brand when I bought my first starter kit 2 years ago that contained their renowned facial treatment essence (the one with commercial about the old Japanese ladies brewing sake having amazingly soft and smooth hands because they were constantly in constant with the active ingredient pitera from the brewery). I was sold on story after its first run. I used the set on and off for a month and although I enjoyed it and noticed nice soft skin, I didn’t think there was anything magical about it. 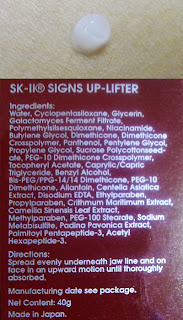 So I’m delighted that this latest product I’ve tried from SK II is more than magical for me. Intensive Lifting Serum. Firms. Tones. Enhances moisture resiliency. A powerful anti-aging serum that targets sagging contours and combines Pitera*4 - an extremely concentrated form of Pitera, firming humectant technology, vitamins B3, E and Pro-Vitamin B5, Dermalink Dual Peptide Crithmum Maritimum and Brown Sea Algae. Rapidly tightens the skin in three dimensions through intense moisture. Improves skin's elasticity and energises its look. 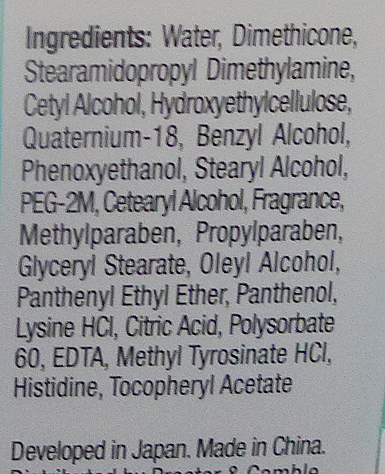 Ok the copy writing sounds very fluffy but don’t all these beauty products make impossible claims most of the time? 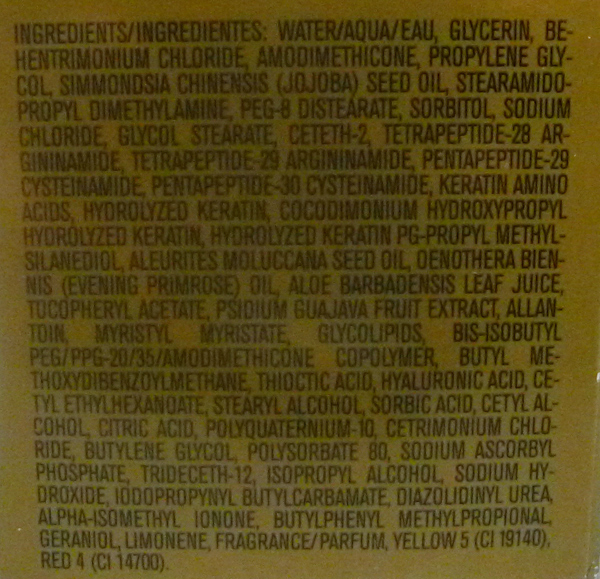 This serum is quite thick, emollient and almost scentless (it has an indistinct scent). It spreads very well on skin, meaning that a little pea size amount will cover quite a large surface area of the face. Two pea-size amounts and my whole face is done and I might dab a little bit more around the outer corner of my eye area. It does contain silicone (dimethicone) which gives it the silky texture and upon it being absorbed, my skin instantly feels like velvet and is cushiony soft without any signs of greasiness. I don’t know what the business is with the skin tightening in three dimensions in the description (huh are we in sci-fi land?) but honestly, my skin the next day is firmer and fresher looking in just one night. It definitely has got the WOW factor happening. Now I’m not that easily impressed but after 3 days use, I noticed that the pores on my cheeks which were previously quite enlarged have shrunk in appearance. I know pores don’t have muscles so can’t shrink per se but they just don’t appear as prominent and my skin is so much more refined and hardly noticeable, and this is after washing my face where I have nothing on. Another week of use and I feel the elasticity of my skin has improved a lot – not only does it feel firm and soft but, there a bouncy resilience that make me think I have teenage skin again! Oh and I look airbrushed and virtually poreless! Now the price tag isn’t cheap at A$210 a bottle, but for such dramatic results and in such short space of time, I think it’s an investment-worthy bottle of miracle. So Bio-effect – you have been fantastic but I’ve found something more amazing and I’m breaking off our relationship with you. 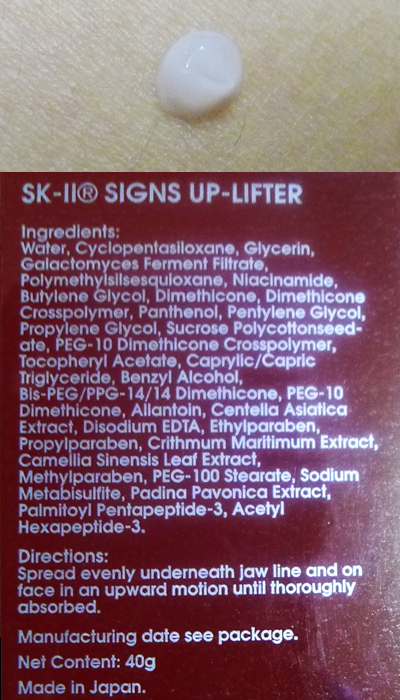 SKII Signs Up-Lifter is my new love and HG and it's even slightly less expensive (it’s all relative here people, the unit pricing makes this cheaper). For firm, velvety supple skin with bounciness and the benefit of even toned skin that gives pore-less looking results in just weeks, then this is it. This is my HG and power product. 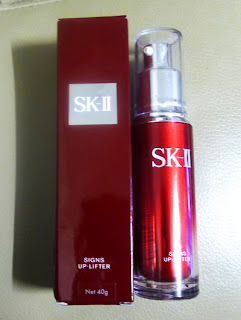 RRP A$210 | US$225 - 40g at SKII counters and online at AdoreBeauty for Australians (another rare occasion where Aussie prices are slightly less than US pricing)! 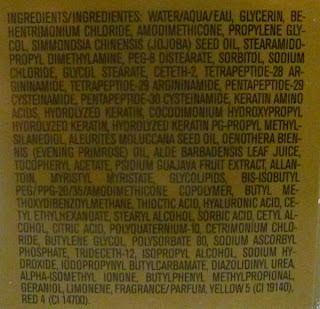 What is your HG product that you use everyday? Today’s skincare series is focused on the eye. I had the pleasure of trying two eye products over the past couple of months, enough time to sufficiently road test them and now it’s time to report back. 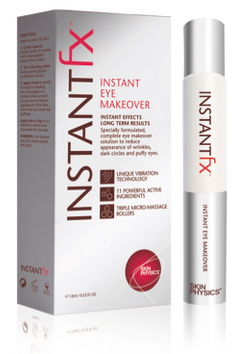 Instant FX Instant Eye Makeover is the newest revolution from cosmeceutical pioneer, Skin Physics, It is the world’s first product to contain an ultra-hydrating ingredient hyadisine formulated to mimic a unique sea mussel from Douarenez Bay France. The anti-ageing cream, couple with multiple roller balls and micro-massage vibrating technology instantly targets wrinkles, fine lines and puffiness, while dark circles, saggy eyelids, skin firmness and collagen production are improved with long term use. Unique ingredients include hyadisine derived from mussels that give long lasting hydration to skin, aminiobutyric acid (GABA) which instantly reduces wrinkle appearance, purslane, gota kola and ginseng to relax expression lines. This eye gel product comes in a roller ball pen which means it is easy to carry around for use of the go if required. 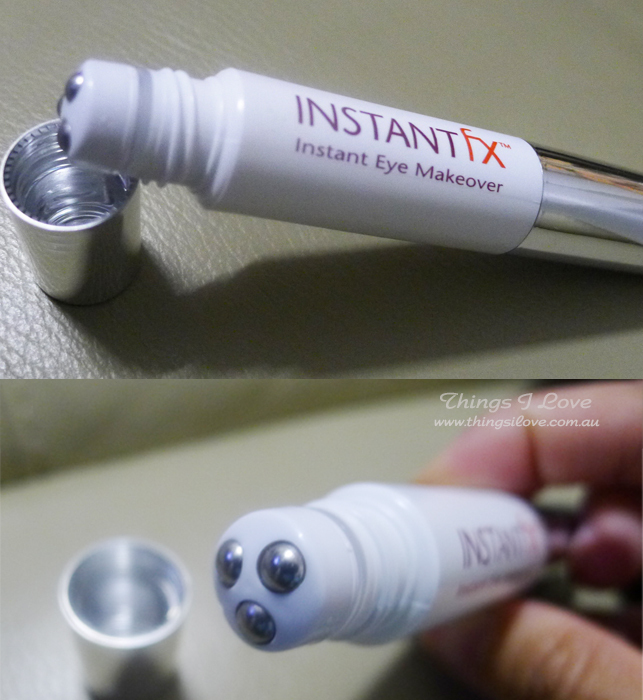 But instead of clicking the end to dispense the product from the three roller balls like other pen-style eye gel (you gently squeeze the body of the pen), clicking the end will activate the pen vibration and will give you a soothing massage whilst applying this around the eye area. 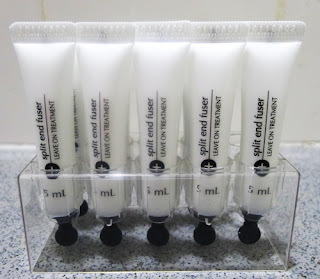 As for product, it’s a gel that instantly cools the skin when applied and is light and non-sticky. Interesting it also gives a heated sensation as if the area after a minute as if it’s has been touched by chilli powder so it feels very weird. It’s a good thing the heated feeling fades in 5 minutes time. I also felt a tightening of skin soon after application, so the tightening effect seems to be working straight away to temporarily restrictthe formations of expressions. I noticed my puffy eyes diminishing minutes later and dry lines are plumped up by the hydration as well as a reduction in expression lines when my face was in a relaxed state (ie, not smiling). After using this for 4 weeks, my eye areas are fresher and smoother, the texture improved and I look like I’ve had adequate sleep most nights. I don’t have bags under my eyes anymore but my dark circles didn't seem to lighten at all. There is improvement on the fine lines after 6 weeks use but I felt it the instant results didn't translate to significant long term improvements. I’m not sure if prolonged longer term use will give better results so I’ll continue to use up the tube. 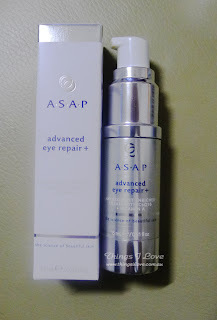 This is a great eye gel and in keeping with its name and claim, it works brilliantly for instant results. Whilst I'm happy with the immediate effects, I didn’t feel it did a better than other good eye creams or gels in the same price range. It’s safe to say I’m ambivalent about this product due to the weird heat tingling sensation despite loving the hydration, vibrating massage and short term results it gave. If you have a special occasion and want instant improvement, then this could be the right product for you. For longer term results, I’d look to other eye creams such as the one below. RRP A$67 -12ml at select Myer, Shaver Shop stores, pharmacies and online here. Formulated with potent coenzyme Q10 (Ubiquinone), white tea and arnica to hydrate, nourish and readuce the appearance of fine lines, wrinkles and dark circles while promoting skin rnewal to improve texture and tone. This pale yellow eye cream expressed from an airless pump is light and spreads very well, meaning a rice grain size amount will moisturise an entire eye and instant relieve and dry skin in the area. It feels slightly sticky upon application but that disappears once the product is absorb into the skin 2 minutes later. My skin really loves the CoQ10 and after a month’s use, my fine lines are more diminished, even on bare skin without using any products, it had definitely improved their appearances. The added benefits of vitamin A (retinyl palmitate) helps to ensure those lines are soften. As for skintone, skin is definitely smoother, brighter and more even after a month use. This has been my go to eye cream for the past 2 months (alternating with Aum’s firming eye cream) and I’m loving the results I’m getting from these 2 product and definitely high on my list to refill. RRP $59 - 15ml at ASAP stocklists across Australia and New Zealand. It is also available online at the Facial Company and Adorebeauty. These featured product were provided for consideration.